Finalist for the Kirkus Prize for Fiction. 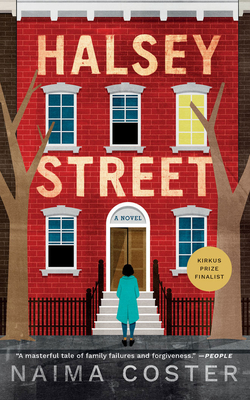 A modern-day story of family, loss, and renewal, Halsey Street captures the deeply human need to belong--not only to a place but to one another. When Penelope moves into the attic apartment of the affluent Harpers, she thinks she's found a semblance of family--and maybe even love. But her world is upended again when she receives a postcard from Mirella asking for reconciliation. As old wounds are reopened, and secrets revealed, a journey across an ocean of sacrifice and self-discovery begins. An engrossing debut, Halsey Street shifts between the perspectives of these two captivating, troubled women. Mirella has one last chance to win back the heart of the daughter she'd lost long before leaving New York, and for Penelope, it's time to break free of the hold of the past and start navigating her own life.